New Delhi, February 19: With an aim to promote more startups the government has finally decided to relax the much-debated angel tax norms, including the full angel tax concession on investments worth up to Rs 25 crore. Earlier, a startup was allowed to avail the concession if the investment was less than Rs 10 crore. Government Relaxes Tax Exemption Process for Angel Fund Investments in Startups. 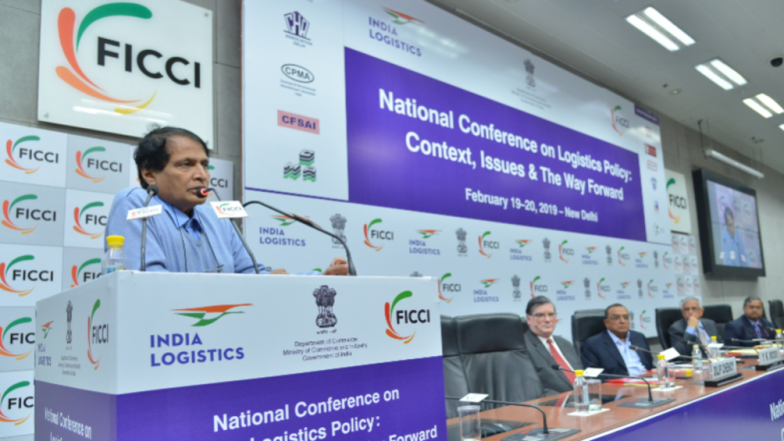 "Considerations of shares received by eligible startups for shares issued or proposed to be issued by all investors shall be exempt up to an aggregate limit of Rs 25 crore," Commerce and Industry Minister Suresh Prabhu said in a series of tweets. Suresh Prabhu also revised the current definition of startups, announcing that an entity shall be considered a Startup upto 10 years from the day of registration instead of the existing period of 7 years. Check These 5 Desi Startups Are Spreading Wings Globally. A Gazette notification will be issued simplifying the process for startups to get exemptions on investments under section 56(2)(viib) of Income Tax Act, 1961, a will be issued shortly, the official said. The government also expanded the turnover criteria. "An entity shall be considered a Startup if its turnover for any of the financial years since its incorporation/registration hasn’t exceeded Rs 100 Crore instead of existing INR 25 Crore," said Prabhu in a series of tweets.